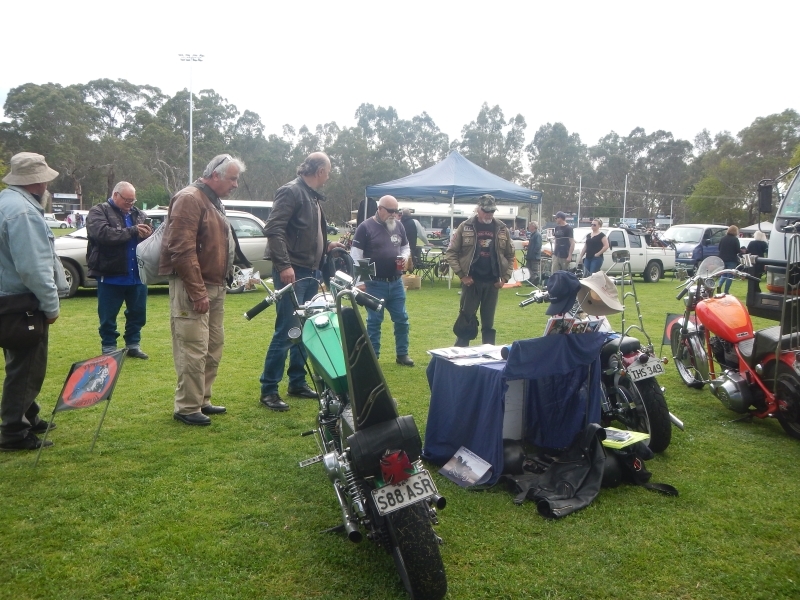 We always have a Choppers Australia stall at the Balhanah motorcycle only swap meet. 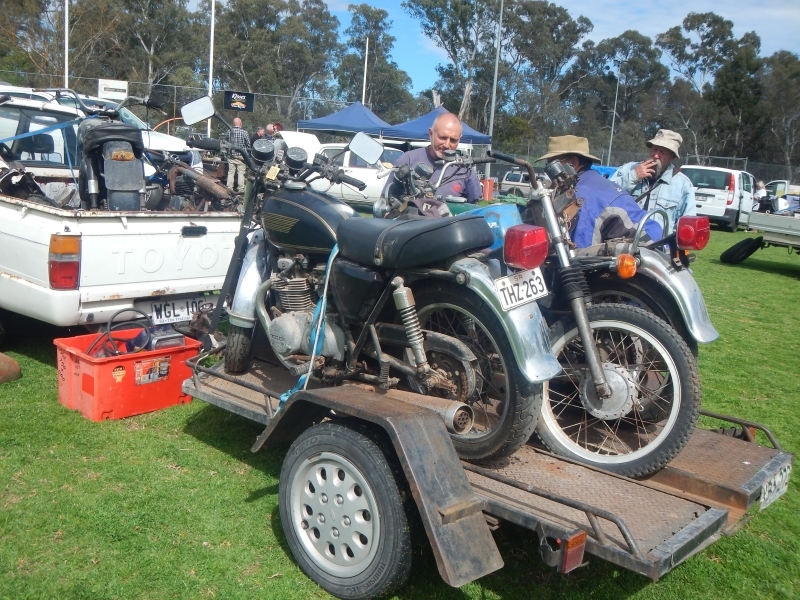 I also attend swap meets to see what I can find for future customers. Business wise it is not profitable, but does mean that blokes can get some hard to find chopper parts they would not otherwise know about. 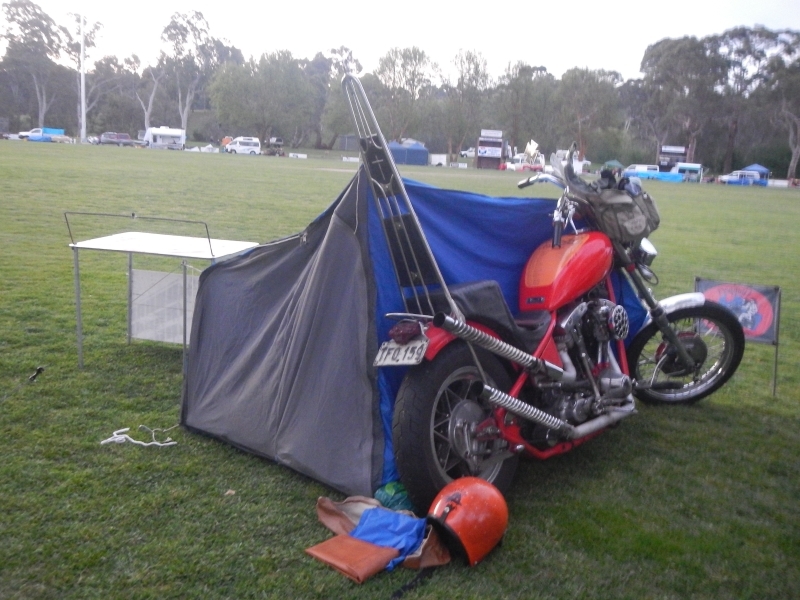 I decided for a bit of a change, and because I can't make it to Bendigo Chopper Fest this weekend that I would camp the night. Which reminds me, I need to dry out my sleeping bag! Anyway, I had my gear packed ready to go Friday night; just had to pick up the week's groceries in the morning and then chuck the gear on the bike. Reason I don't camp out at swap meets more often is the extra gear I have to carry which makes bringing home larger purchases more difficult. 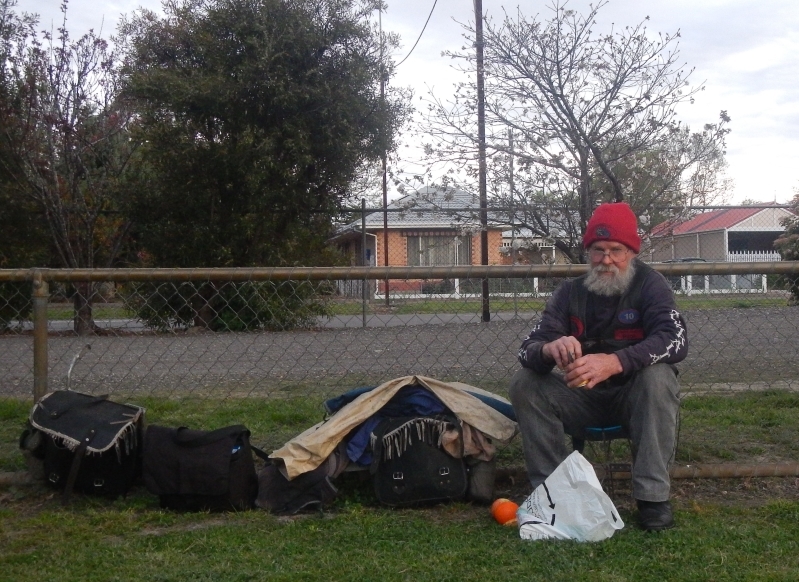 Very mild night and I had to shed clothing as I heated up in the sleeping bag. Woke up at midnight to the pitter patter of rain and crawled outside to cover a couple of things. 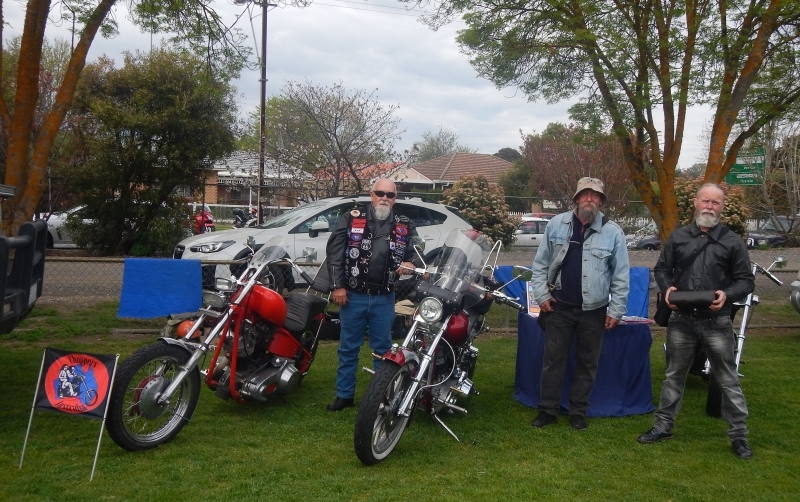 A lot of interest in our chopper's and Ken did a good job of presenting CA... possibly got one new member. By 11 am all was slowing down, so Wayne and Terry and Ken took off north the long way home and I packed up and headed south with Kevin, Jim and another bloke whose name I did not catch. Had a very cruisy ride home following Kevin until Meadows where I moved to the front and thoroughly enjoyed pushing the the curves into Kangarilla.